Jumpstart your first term at University of Maryland University College by attending our virtual event, Jumpstart Your Winter/Spring. Are you considering applying for admission or starting your first term of courses at UMUC this winter or spring? If so, join us for this informative online event to learn more about how to make your first term at UMUC a successful one. University of Maryland University College celebrated its 70th anniversary throughout 2017. Unique among institutions of higher education, UMUC was established in 1947 to meet the educational needs of adult students and the U.S. military. A pioneer in distance education, UMUC has always looked for new and better ways to serve students. Today UMUC has grown to be the largest public online university in the nation, serving busy professionals around the world. From soft skills to industry-specific expertise, UMUC can help you become more valuable in your current role and in the job market. We offer 90+ degrees, specializations, and certificates, including programs in high-growth fields like cyber security , data analytics, and healthcare. Dr. Mittal serves as the Program Chair of the Master of Business Administration in The Graduate School. In addition to his teaching experience at UMUC and other universities, he has 8 years of experience in the information technology industry. 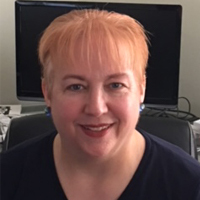 Beth Mulherrin supports curriculum projects in The Undergraduate School and is also a Professor teaching undergraduate research and proposal writing classes online. She started working as a librarian at UMUC in 1999, when distance education was evolving from satellite virtual classrooms and videoconferencing technologies to teaching and learning with the Internet. Chanel Payne is the Program Management Specialist in Career Services for Employer Services. She is tasked with building and maintaining employer partnerships for the university to benefit the students and alumni. She has over 17 years of experience in workforce development and marketing working for Fortune 500 companies like Samsung, Motorola, Coty, and Hallmark. She spent several years in the non-profit sector in Washington DC assisting those that are disadvantage with high barriers find meaningful and gainful employment before assuming her role here at UMUC. In 2017 at a ceremony in Austin, TX, (ISC)2 named Dr. Mansur Hasib a “Rock Star” of cybersecurity and presented him an electric guitar along with the (ISC)2 Americas Information Security Leadership Award (ISLA) for leading the implementation of the Master of Science in Cybersecurity Technology degree program at University of Maryland University College (UMUC). In 2018 the Global Cyber Startup Observatory based in Europe inducted Dr. Hasib into the Hall of Fame. In 2018 SC Magazine awarded UMUC Best Cybersecurity Higher Education Program in the USA award. In 2019 UMUC repeated as the winner of this prestigious award. Dr. Hasib also won the 2017 Cybersecurity People’s Choice Award and the 2017 Information Governance Expert of the Year Award. He has 30 years of experience (including 12 as Chief Information Officer) leading organizational transformations through digital leadership and cybersecurity strategy in healthcare, biotechnology, education, and energy. His seminal book Cybersecurity Leadership (available in ebook, paperback, and audio) has been widely acclaimed by practitioners and scholars alike and is listed among the best IT and cybersecurity books of all time. Dr. Hasib enjoys table tennis, comedy, and travel and has been to all 50 states of the USA. Follow him on Twitter @mhasib or LinkedIn: www.linkedin.com/in/mansurhasib. To access more content or to contact Dr. Hasib, visit: www.cybersecurityleadership.com. 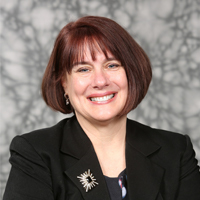 Ann Martin is a Career Advising Specialist in UMUC’s office of Career Services, specializing in assisting cyber and technology students and alumni. She is board-certified as a National Certified Counselor (NCC) and a Certified Career Counselor (CCC) and holds a degree in Mental Health Counseling from Bowie State University. Nishant is a 2016 M.S. Cyber Security graduate. He is a member of the Alumni Association Advisory Board. 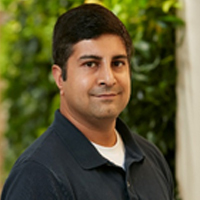 Nishant is a Technical Support Engineer at Tenable, a Cybersecurity company located in Columbia, MD. Valorie J. King, PhD is the Program Chair for the Cybersecurity Management and Policy program in the Undergraduate School at University of Maryland University College. Her professional experience includes executive management consulting, IT strategy and policy development for federal organizations, and systems and software engineering in the defense and intelligence industries. Dr. King's areas of expertise include: cybersecurity education and training; cybersecurity management, policy, and governance; risk management; and the Internet of Things (IoT), including the quantized self, embedded medical devices, and wearable computing. Her current professional focus is on developing tomorrow’s cybersecurity workforce. To accomplish this, she leads a world-class faculty of scholar-practitioners who engage in the design, management, delivery, and assessment of curriculum providing students with the knowledge and skills needed to lead and manage tomorrow's cybersecurity programs, products, and services in businesses and governments within local, regional, national and international contexts. Dr. King earned both her Master in Information Technology and a Chief Information Officer certificate from UMUC’s graduate school. She earned the Doctor of Philosophy in Organization and Management (IT Management Specialization) in 2008 from Capella University and a post-baccalaureate certificate in Health Care Administration in 2010. She earned her Bachelor of Science in Computer Sciences from the University of Maryland College Park. She is a Senior Member of the Institute of Electrical and Electronics Engineers (IEEE) and holds the CISSP, CISA, CISM, CRISC, PMP, and PSEM certifications. Col. Keith Hauk (U.S. Army, Ret.) serves as the UMUC Associate VP for Veterans Initiatives and Military Support. In this role, he works to ensure that military-affiliated students receive the advocacy, resources, and support needed as they work toward their educational goals and successful transition into the civilian workplace. In addition, he oversees operational support for military-affiliated students, including processing of VA certification for student veterans, and Tuition Assistance Military Degree Plans for active military students. Keith is a 29-year Army veteran who joined UMUC in September 2015. Over the course of his career he served in locations across the continental United States, Central America, Europe, and the Middle East, including combat tours in Afghanistan, Iraq, Kuwait, and Saudi Arabia. He holds an undergraduate degree from the United States Military Academy at West Point as well as advanced degrees from the Colorado School of Mines and the United States Naval War College. This event is designed to help students starting their classes with UMUC this fall semester. It is also great for prospective students who are considering transferring or applying to UMUC. Who will I be able to chat with? Do I need to download or install any information to be able to attend this event? No. You do not need to download or install any software to participate. You only need to have access to the internet. No. You will have the ability to video chat with UMUC advisors, professors, alumni and staff, however it is not required in order to participate. How do I log in on day-of? Your login details will be emailed to you ahead of the event. You can use these details to access the online event. Who do I contact if I have troubleshooting issues on day-of? Send an email to umuc@vfairs.com for any technical assistance. What can I do at the Virtual UMUC Jumpstart event? This is an online event. You do not have to travel to any specific location. You can participate anywhere that you have Internet access. The event is accessible from desktop, mobile and tablet devices. Will I be able to take away information or brochures from the event? Yes. Like any physical event, we will have a swag bag for you! You can add all of the documents available to the online swag bag in your account and then email them to yourself or share items with friends and family by simply entering their email. I registered for the event but was not able to attend, what can I do to participate at a later date? While live chat and presentations will only be available during the live event, all registrants will be emailed a link to access the recorded portions and student success resources for 30 days following the event date.